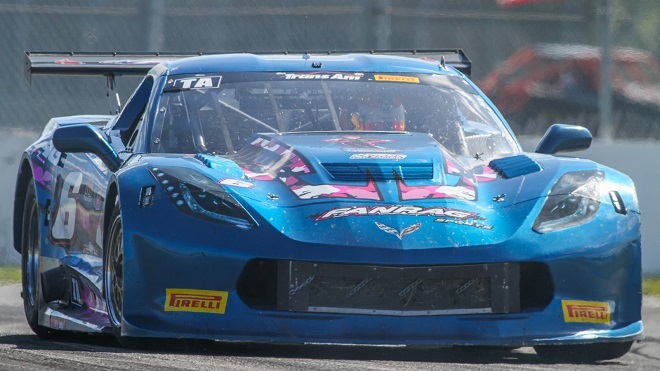 Cameron Lawrence secured his first career Trans Am Series presented by Pirelli TA class victory in the Ryan Companies Independence Day Classic Sunday at Brainerd International Raceway. The victory completed a weekend that saw Lawrence compete in three separate races: the Continental Tire 120 at Watkins Glen, the TA2 class Ryan Companies Muscle Car Challenge, where he finished fifth, and the Ryan Companies Independence Day Classic, ending his weekend atop the podium. The day was marred by a fatal single-car accident involving veteran driver Mel Shaw, 70, whose TA4 Camaro ran off the track at Turn 3 and crashed into a concrete barrier during a 12-lap race that took place between two Trans Am Series events. According to the Crow Wing County sheriff’s office, Shaw was pronounced dead at the scene. Local Fox TV affiliate KMSP reported that Shaw may have been having some health issues before he crashed, saying other drivers reported that he was driving erratically and when he drove off the track, he did not let up on the throttle, did not hit the brakes and did not try to turn. “The staff and racing community at Brainerd International Raceway are deeply sorry for the loss of a passionate and longtime racer, Mel Shaw,” Brainerd International Raceway owners Jed and Kristi Copham said in a statement. 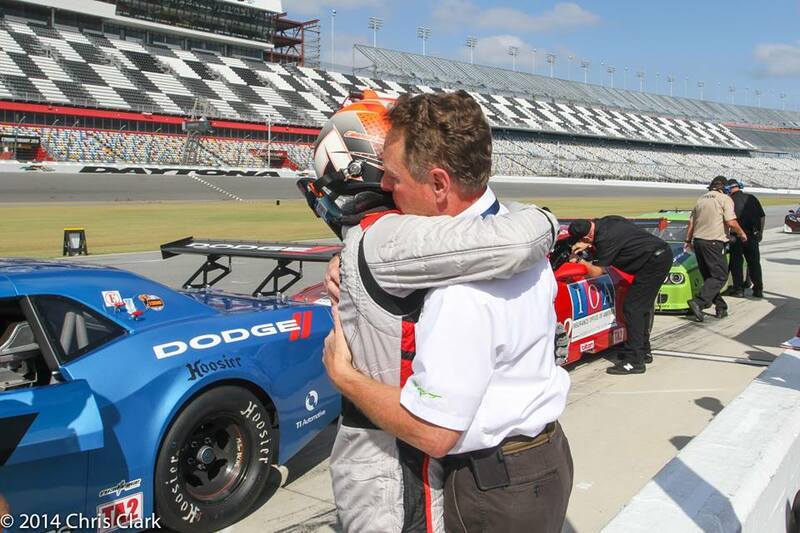 “Our heartfelt condolences go out to Mel’s family, his racing team and the entire Trans Am Series and SCCA organizations.” Jed Copham was competing in the TA race himself, and finished fourth overall. The Crow Wing County sheriff’s office is investigating the crash. Lawrence, a two-time TA2 champion and winner of 20 Trans Am races, captured the win in only his second TA class appearance, his first appearance having been cut short due to mechanical failure at Indianapolis Motor Speedway just as the green flag flew. This time, Lawrence brought home the No. 6 Derhaag Motorsports Chevrolet Corvette first overall in the 100-mile, 40-lap TA, TA3 and TA4 multi-class field. Lawrence, who missed qualifying due to his obligations at Watkins Glen, started the day in eighth position in the nine-car field, consistently working his way up the field, securing fourth position on the fifth lap before the race’s only full-course caution came out on lap nine with the No. 00 of James Pesek stuck off course in turn 12. After green racing resumed on Lap 12, Lawrence would move into third over Amy Ruman, in the No. 23 McNichols Company Chevrolet, on Lap 16, then second over polesitter Vinnie Allegretta, in the No. 41 TA Sights Sounds Chevrolet Corvette, commencing pursuit of the No. 98 Buoniconti Fund Ford Mustang of Ernie Francis Jr.
Francis held a comfortable lead but would suffer a stuck throttle with only three laps remaining, causing the No. 98 to spin. 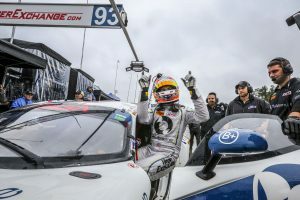 Francis, the winner of four straight TA class competitions, would fall back to third, leaving Lawrence to take the lead – completing an improbable victory for a driver for whom the start of the race marked his first time in the car all weekend. For his efforts working his way up through the TA class field Cameron Lawrence was also awarded the COOLSHIRT Systems Cool Move of the Race. Polesitter Vinnie Allegretta would finish second, while Francis would recover to secure a third-place finish – easily retaining his lead atop the TA class championship with 166 points to Allegretta’s 135. Francis would also set the fast lap of the race, a 1:28.775 lap around the 2.5-mile competition course. BIR track owner Jed Copham, in the No. 44 BC Race Cars/ Tesar Engines Chevrolet Corvette, finished second, his career best finish in his fourth Trans Am start, all of which have been at BIR. Amy Ruman, the two-time defending TA class champion, would finish fifth to retain third in the points with 112. In TA3, Tim Kezman, in the No. 4 Fall-Line/Calypso Porsche 911 GT3 Cup, secured his first victory of the 2017 season and fourth of his career. Kezman’s first win was the start of a Fall-Line Motorsport sweep of the podium, with points leader Mark Boden finishing second in the No. 46 Fall-Line/ Calypso Porsche 911 GT3 and Tom Herb, in the No. 16 Fall-Line/ Calypso Porsche 911 GT3, finishing third. Kezman, who started in second position, withstood early pressure from Randy Kinsland, in the No. 11 Kinsland Racing Chevrolet Corvette, before overtaking Boden on the 22nd lap for the lead – a position he would not relinquish for the remaining 18 laps. For their top three sweep of the TA3 class the Fall-Line crew was awarded the PitBoxes.com Crew of the Race, while crew chief Tom Burek was awarded the Traq Gear Crew Chief of the Weekend. The Lux Performance duo of Cindi Lux, in the No. 45 Lux Performance Group Dodge Viper ACRX, and Dirk Leuenberger, in the No. 35 Lux Performance Group Dodge Viper ACRX, would finish fourth and fifth, respectively, with both improving on their starting positions. JR Pesek, in the No. 10 Rennsport KC Ford Mustang, would secure his career first TA4, and Trans Am, victory after starting second and racing back and forth with his son, James Pesek, in the No. 00 Rennsport KC Ford Mustang, throughout the early laps, swapping the lead multiple times. However, James Pesek’s off into the gravel trap in turn 12 left JR to coast to victory. The Trans Am Series presented by Pirelli will next take to the track at Mid-Ohio Sports Car Course on Aug. 12.